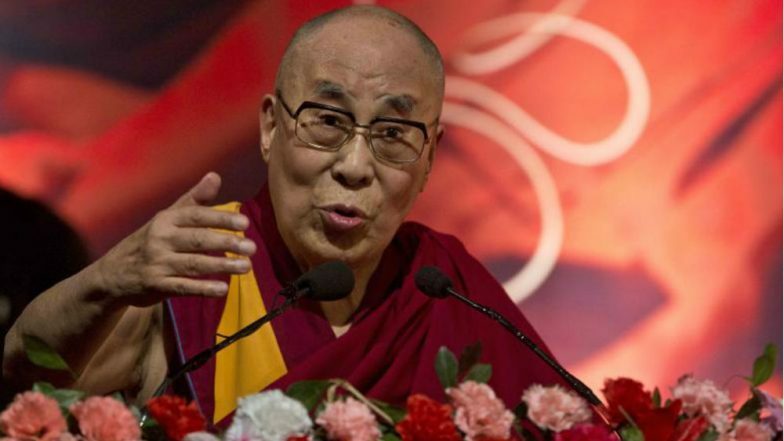 Beijing, March 19: China on Tuesday indicated that it won't recognise the successor of the Tibetan spiritual leader the Dalai Lama if found in India. The 14th Dalai Lama has been living in India in exile since 1959 after a failed revolt against Communist rule in Tibet. Beijing calls him a "dangerous secessionist" and is worried about his successor. In an interview with Reuters, the Dalai Lama said China worries more about the next Dalai Lama than him. In a Warning to China, Dalai Lama Says His Successor Could be from India. Beijing says it reserved the right to appoint the Dalai Lama's successor in line with the conventions set by Chinese emperors. However, many Tibetans believe that the soul of a venerated Buddhist monk will reincarnate in the body of a child after his death. The current Dalai Lama was born in 1935 and identified as the reincarnation of his predecessor when he was two years old. India is also home to some 100,000 Tibetans, many of who fled Tibet along with the Dalai Lama.